The internet has become a cultural, economical and life changing technological phenomenon. Enough can not be said about this incredible technology. However, the internet is not one single invention; it is a simple idea that has evolved throughout the decades into something bigger than us all. While the internet was started fairly recently, today we are still at the tip of the iceberg of what this technology in all its many forms can help us achieve. So in essence the internet has already and will continue to revolutionize the world. Even as its beginnings were humble, no one could have predicted its amazing growth through the last several decades. The internet has brought us so much information and not only to the social and business elite, but to the entire world. Looking back, the essential idea of the internet is extremely basic, however with several innovations, the internet has grown and evolved to where it is currently at today. Typically the 20th century was defined by communications that went from one major source to thousands or millions of people at a time. This type of communications was characterized by television and radio broadcasters which sent out communications signals to TV sets and radios around the country and world. While the telephone evolved and became ubiquitous in the world as a way for an individual to reach out and talk with a specific person, this type of communications usually involved mostly two people, or a handful of people at most if you were on a conference call. However, with the advent of the internet, a new type of communications technology would be available, where not only can two people communicate simultaneously, but thousands, millions and yes even billions of people at the same time. Again, the old style of communication technologies not only limited who was able to send a message (think about the big 3 TV networks of the 20th century), but this technology didn’t allow others to offer their opinion or collaborate. This is just many of the reasons that the internet has grown so far, so fast. The internet is able to have an impact on our entire society whether it is in education, our social circles, military, business, etc. While most may think the history of the internet started in the early 90’s or even the 80’s, the idea of the internet started much earlier- back to the 1950’s. In a lot of ways war is the mother of invention and during the 1950’s besides the Korean War, there was also the Cold War. The Cold War pitted the USA against the Soviet Union and the Eastern Bloc. Nothing was scarier than the Soviet Union launching nuclear weapons against US soil. While there were plenty of events that scared us Americans during this time, one event made it seem that the Russians were pulling ahead of American technology and know how- the launching of Sputnik satellite. With the launch of the Sputnik satellite in 1957, America feared that the Soviet Union would not only militarize space, but be able to gain a huge advantage over us and this threatened our very security. In reaction to the launching of Sputnik, the USA tried to come up with ideas in how to protect us against the Soviet Union and diminish their strategic advantages. One of the ways that we responded to this crisis was to create ARPA (Advanced Research Project Agency). Now known as DARPA (Defense Advanced Research Projects Agency), this agency was given the mission to create technologies that would help give our military a high tech edge. The goal was to once again lead in the arms race, as well as protect our country and security. While DARPA was launched in the late 1950’s, it wasn’t till 1962 that the first ideas about a web or interconnected net type of system were formed. First written about by J.C.R. 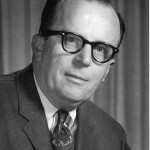 Licklider of MIT in August of 1962, Licklider wrote several memos in what he termed was a “Galactic Network”. 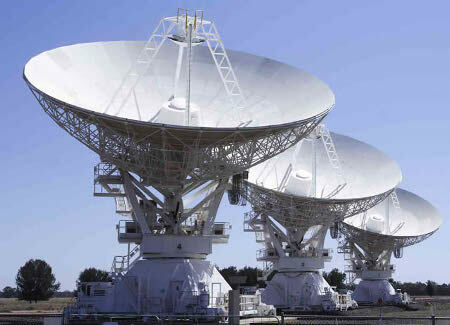 In essence, this Galactic Network was able to access information in electronic form- either by data or programs from a large network of computers. The key was that all of the computers in this Galactic Network would be some way connected to each other. 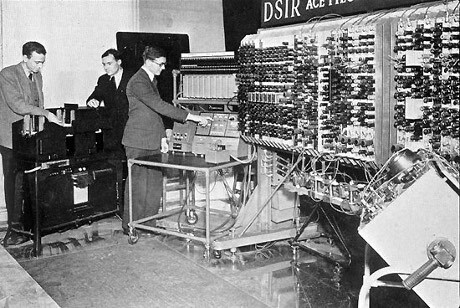 In that year, Licklider headed up the first computer research program for DARPA. Besides the idea of a Galactic Network, there were other ideas and events that played a part in ultimately creating the early internet. Another event that figured prominently into the history of the internet is a commissioned study by the USAF on how the military would be able to keep and maintain control and command of airplanes, bombers and nuclear missiles during and after a nuclear attack. Pretty much, the USAF wanted to understand the best ways to create a decentralized network of communications in order to run their branch of the military during and after a nuclear strike. The important point was that this command would have to be decentralized, so no matter the extend of damage the military would still be able to control it’s nuclear weapons, airplanes and bombers in order to counter strike or protect itself. The original study was commissioned and overseen by Paul Beran, a member of the RAND Corporation. As the RAND Corporation completed its final report of the study, Paul Beran suggested that one way to achieve decentralization and accomplish the goals put forth by the USAF is to institute a type of technology called packet switching in a network. With the Galactic Network by Licklider, the solution offered by Paul Beran, there were other early players that influenced the creation of the early internet. Another aspect called packet switching theory, which was developed by Leonard Kleinrock at MIT in 1961 also played a huge part in the early origins. The idea of packet switching is that a packet of data which included both its origin and destination could be sent from one location to the other. While this might seem like a simple idea, the technology at the time was different- specifically the type and how data traveled when used in the phone company’s circuits. One of the differences in packet switching technology than what was being used was if a packet of data was lost at any given point in its journey, the packet could be easily resent by the originator. This was not the case with data being sent at the time. While packets of data being sent which included the origin and destination was a big improvement over the current circuit system used by the telephone company another component of creating the internet that resembles the one used today was the idea that a decentralized system of computers (a network) could communicate with one another. During the 1960’s there were many experiments that tried to create productive and efficient networks of computers. If you remember, at this time, computers were very specialized machines and some were huge taking up an entire room. In 1965 an experiment took place in which a TX-2 computer that was located in Massachusetts connected with a Q-32 computer in California. This experiment was successful and it is considered to this day to be the first time a connection of two computers was made using a low speed dial up phone line. The experiment specifically proved that not only can two computers connect to one another, but it also demonstrated that computers can both exchange programs and data with each other. While the experiment was successful, it was clear that the current set of telephone circuits were not practical and that packet switching technology would be needed to advance this technology. University of California at Santa Barbara, the University of California at Los Angeles, SRI at Stanford and the University of Utah. While the network was originally supposed to have a line speed of only 2.4 kbps (thousand bits per second), technology was already available to boost the line speed to 50 kbps. It is also important to note that during the 1960’s, important contributions to computing and communications changed our world completely, unfortunately, these innovation, inventions and contributions are unknown or unnamed today. As the first internet- the ARPANET was in place in 1969, the internet started to build up steam and practicality during the 1970’s. The internet grew in leaps and bounds during the 1970’s. After its initial start in late 1969, the ARPANET as it then was known was about to experience rapid changes not only to its own network, but to the massive amounts of technology and innovation happening around the world. One of the key innovations that helped grow the internet during the 1970’s is an application still considered to be the internet’s “killer app”. As the 1970’s where under way, plenty of experimenting took place with ARPANET. In fact, another 19 computers were hooked up into the ARPANET network. By 1972, the list of computers hooked into ARPANET totaled 23 host computers that made up the backbone of the network. And while many computers were hooked up, the line speed still continued to be 50 kbps. During the early days much innovation took place and protocols were being developed, the initial host protocol was created called NCP or Network Control Protocol. It turned out that 1972 was a banner year for the internet, in fact that was the year that the killer app that not only spread the use of the ARPANET in its early days, but continued to fuel growth over the coming years and decades took place- the application that changed the internet forever was Email. Ray Tomlinson is known as the creator of Email. Created in 1972, Ray Tomlin working for BBN Corporation created the foundation for the basics of sending and reading messages over the ARPANET. While this initial invention was extremely crude, over the years much innovation went into making emails more user friendly. Email not only gave the ARPANET a great application, but added a social dimension to this burgeoning network. Today, when we connect our computer to the internet, we are able to talk with millions upon millions of computers. And while the first ARPANET network consisted of only 19 computers, the one big disadvantage was that the protocol being used NCP (Network Control Protocol) only worked with specific types of computers. Imagine today if your computer logged onto the internet and was only able to talk with Toshiba, Apple or Sony computers. This was the problem that ARPANET was facing in the early 1970’s. There were much more than a few dozen computers that would like to connect to the ARPANET, however NCP was only able to utilize a few dozen at best. Since this was a major flaw with NCP, a new protocol needed to be created. A new, more inclusive type of open source protocol needed to be developed. This new protocol turned out to be TCP/IP. It was originally created in 1973 and it was first used to communicate between computers in 1974. In fact, Vint Cerf and Bob Kahn, two internet pioneers were considered the first individuals to utilize TCP/IP protocol and in a few years, NCP was no longer needed, making ARPANET requiring TCP/IP instead. 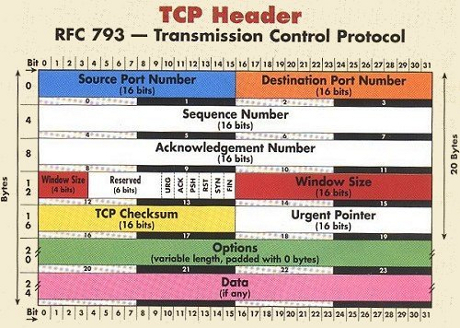 Many that are familiar with internet protocol recognize TCP/IP since it is still in use to this very day. While the early 1970’s would prove to be the formative years for the early internet, as the 1970’s unfolded many innovations took place that expanded ARPANET’s reach past the shores of America and around the world for the first time. It was the Sputnik satellite that originally got the idea off the ground and less than 20 years later it was the satellite that led to the development of the first transatlantic link. The ARPANET expanded without the help of a fixed line for the first time, instead using satellite radio waves to transmit data packets. This first satellite link was called SATNET. SATNET effectively connected both the USA and Europe (Norway to be exact) and then Norway connected the rest of Europe to the network of computers. While the military started ARPANET, it grew bigger than just a military project. In fact, the satellites that were used in the SATNET project were owned not by the US military, but a consortium of several countries. While the ARPANET and SATNET expanded the reach of the first internet, connecting computers to the internet was still a hodgepodge of cables and quite unorganized. This lead to the creation of the Ethernet cable. The Ethernet cable is still used today. In fact, many home computers still use a fixed line that connects their computer via an Ethernet cable to their modem and then to their ISP (internet service provider). 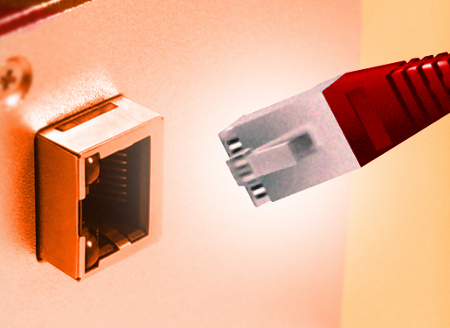 Ethernet offers an easy, economical and practical way to move data quickly from one computer to another computer or device at high speeds. Ethernet cables not only made connecting a LAN (local area network) more simple, but increased the speed at which these computers can talk to one another. Besides Ethernet, another major innovation developed during the 1970’s was UUCP which stood for (Unix to Unix Copy). This innovation was created by Steve Bellovin. It was a protocol developed for computers that run on the Unix platform. During the 1970’s, Windows and Mac OS’s didn’t exist, mainly more technical types of platforms were available- Unix being one. UUCP was used by Unix computers to easily send and receive files. As UUCP developed more throughout the years, it grew into what is now known as Usenet. Usenet is a news group network still used by millions of people to send news, data files and email throughout the internet. As the 1970’s came to a close, the ARPANET changed drastically. While it started with only a few computers, by 1979 it had around 111 computers linked into the network, however the line speed continued to be the same at 50 kbps. As the 1980’s would start, there would be huge changes to the internet as we know it today. While the 1970’s saw the very beginning of the internet called the ARPANET and innovations in packet protocol, Ethernet, UUCP and SATNET, during the 1980’s, the internet will change drastically, never to be the same. By the end of the decade, the internet will be well on its way of becoming the internet many of us know and experience today. There are many reasons why during the 1980’s the internet changed drastically. First was the many technical innovations that occurred and most of these innovations happened due to much more smaller, faster and affordable computers and hardware. No longer were computers out of reach of most users and organizations. During the 1980’s computers became commonplace and were easily affordable to universities, businesses and ultimately individuals. But besides the influx of technology, many new organizations were developed to help manage the many new users that were utilizing the internet in its growing forms. For instance during this 10 year period, the internet grew from about 150 computer hosts on the net to a staggering 200,000 computers by the end of 1989. As the internet took off, the technology and potential known as the internet was finally being fulfilled. ARPANET still continued to dominate the internet during the 1980’s, but other networks were already established and continued to grow. While ARPANET was created by the government for military use initially, more and government programs were utilizing the ARPANET along with a wide variety of research institutions. One network that found the ARPANET quite useful was the National Science Foundation, they created a network called the CSNET (Computer Science Network). CSNET was specifically created to conduct scientific research. While many organizations and institutions wanted to connect to ARPANET, unfortunately, not all were allowed or capable of doing so. The CSNET made it easier for a research institution to communicate with one another. Finally in 1981, a plan was put into place that finally allowed computers that utilized either ARPANET or CSNET to connect both nets, making an easy way for both networks to communicate with each other. There were other innovations that improved communications between computers around the country and world. One innovation that is still in use today and proved to make the internet more uniform and facilitate use was the creation of DNS (Domain Name System). DNS (Domain Name System) was an innovation that vastly improved the way individuals communicate with one another or other servers on the internet. Before the implementation of DNS, long cumbersome numbers had to be inputted in order to contact another computer. Not only was it very difficult to remember, but made the entire process take a long time. DNS is a system that makes it easy to connect with another computer. In fact, we continue to use this system today. While we may actually input a name into our internet browser to visit a site, each name has an IP number (IP stands for internet protocol). So when we enter the name Google.com into our browser, what you don’t see is that the computer actually is not searching to connect with Google.com, but the DNS IP address that is 216.239.51.99. Once DNS became operational and used, no longer did individuals or organizations have to remember meaningless numbers, instead they only had to remember the name of the site or actually the server that one computer connects to. As DNS took hold, other protocols would become mandatory. On January 1, 1983, all computers on ARPANET and CSNET no longer worked with the original protocol NCP and instead, all computers required TCP/IP to continue to connect. During the early to mid 1980’s plenty of innovation occurred and the prices of technology and hardware became much more affordable. Moore’s Law, which states that a computer chip will double in power and halve in price every 18 months was being realized and as more and more businesses, organizations and individuals purchased computers and as they became easier to use, many wanted more than just a stand alone appliance, they wanted to talk and connect with others around the world. 1985 turned out to be a huge year for the internet. The ARPANET was growing exponentially year after year and in 1985, there were over 1,000 computers (hosts) connected to the network. While this network was initially created for military uses, other organizations found it to be useful including universities, businesses and more. The Department of defense came to the realization that its military programs that were also on the network would be a liability and easy to attack. So the ARPANET was split into two, one net for military purposes now called MILNET and the existing ARPANET which was now dedicated to other disciplines without any military components on it. It should still be noted that ARPANET continued to be supported by the DOD (Department of Defense) even though military organizations didn’t utilize the network. Besides ARPANET splitting in two, another innovation occurred in 1985. CSNET which during the 80’s molded into the ARPANET contracted MCI Corporation to upgrade the network. The line speed from its earliest days was 50 Kbps, in 1985 it was only 56 kbps, however with new innovations in technology, circuits could be implemented that offered a much faster data transfer speed- 25 times faster. The new lines that were implemented were called T-1 lines. They delivered data transfer speeds up to 1.5 Mbps (million bits per second). To use these faster lines, other technology was necessary. IBM for instance created advanced routers and a company called Merit, would manage the network. The new upgraded network would go online in 1986. It was called NSFNET for National Science Foundation Network. However, it is important to note that the older network CSNET that had speeds of 56 kbps still continued to operate. As the mid 1980’s came and went, traffic on the internet exploded. From 1985 to the end of 1989, traffic soared from a few thousand computers (hosts), to about 200,000 hosts. In addition, organizations and individuals could communicate much faster, while the first T-1 line offered speeds of 1.5 Mbps, by the end of the decade T-3 line was in the works and when it was finally implemented in 1991, it allowed for data transfer speeds of 45 Mbps. While the internet started in late 1969, it revealed its true potential by the end of the 1980’s. However, throughout the 1990’s, the internet would continue to grow in leaps and bounds beyond anyone’s comprehension. In 10 short years, the internet will have transformed from a tool used by mainly research and tech savvy individuals to a household appliance that was found in almost anyone’s home and which turned into an economic boom that fueled the economy to grow. While the internet grew, it required the help of many components including more and more powerful home computers, software, overall technological advances and applications that made it worthwhile for common people to use. During the 1990’s as the internet continued to take off, there were plenty of innovations that spurred more and more growth. Besides being more popular with individual users, other areas entered into the mix including innovations that included the social side of the internet and the commercial side that continued to fuel money and research into this incredible technology. As stated earlier before, the speed at which the transfer of information occurred was about 1.5 Mbps with a T-1 line, however in the late 80’s a new, faster line of communications was planned, it finally became operational in 1991. It was the T-3 line and it made communications incredibly fast at 45 Mbps. With this new T-3 line the slower, more cumbersome CSNET was no longer needed. It was finally retired. However, with the fall of CSNET, a new network rose, it was called NREN (National Research and Education Network). It was created to conduct high speed networking research. In the early 1990’s, the internet had about 300,000 host computers, however by the end of the decades the number would be in the hundred of millions and today the amount of computers tied to the internet is likely in the billions. With so much innovation over the last few decades, the internet grew from a couple of dozen computers to billions in a blink of an eye. It has transformed our world forever. Besides the technological advances that occurred, the internet also changed our society and pretty much has had an impact on every aspect of our lives. The vast majority of internet users do not start up their computers and log onto the ARPANET, we usually open our browsers and start typing www. WWW stands for the World Wide Web and this web is one of the most important innovations that the internet has seen in its relatively short life. The World Wide Web is pretty much a platform that makes it easy to access data on the internet. The Web uses hypertext links which are pieces of code that links one site to another (and in many cases one computer host to another computer host). Using a browser, you can easily access a link by clicking a mouse, essentially moving from one computer to another located on a web with a single click. Most of today’s computer users access the internet via a browser, whether it is Microsoft’s Internet Explorer, Mozilla’s Firefox or other browsers. The browser itself helps a user to not only access data, but view it. Today, via the web and a browser, you can view text and other types of media and navigate easily from one page to another utilizing hypertext links. 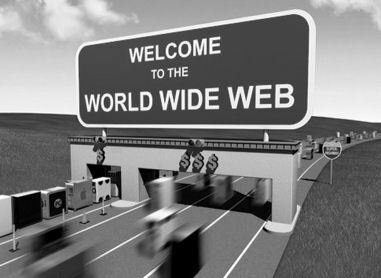 The World Wide Web was actually created in 1989 by Sir Tim Berners-Lee, Sir Sam Walker and Robert Caillau. They were doing research at CERN (European Organization for Nuclear Research); however the World Wide Web was introduced publicly on August 6, 1991. This is when the Internet finally took off. The World Wide Web was one of several types of platforms developed for the internet that utilized hypertext systems. While others existed in the early 1990’s, there were a few reasons that the Web took off in popularity and use. First off, hypertext links on the Web platform did not need to be bi-directional, they could be one way links (another platform required that links needed to be bi-direction complicating use) and perhaps the biggest reason that the Web took off was that it was free. It didn’t require licensing restrictions. Other platforms required special hardware and this hardware and the use of software cost money making many organizations to choose the free alternative. In order to use the World Wide Web proficiently, a browser is necessary to view text and media. The World Wide Web took off in popularity when the first web browser named Mosaic was released in 1993. Mosaic was an easy to use graphical browser created by NCSA. It revolutionized the way that many accessed information and data on the web and it definitely helped to grow the internet into what it is today. With the use of a browser, you can view a web page that includes many different pieces of data or media. Before, to access each image or piece of data or media, you would have to open a new file or window. As Mosaic grew in popularity, the project became the Netscape browser. Marc Andreessen was the leader of the Mosaic project and it was this browser that became the most widely used in the early to mid 1990’s. It should also be noted that in 1995, many consider the public offering of Netscape’s stock to be the beginning of the Dot.com boom changing the industry forever. While Mosaic and then Netscape were dominant in the early to mid 90’s as more and more of the public using Microsoft Windows software on their home computers started to go online, Microsoft started a browser wars of sorts to control the browser that many would use to access the web. Microsoft was extremely effective in promoting their IE (Internet Explorer) browser; in fact they did this by bundling the software with their operating system- most notably Windows 98. While Netscape had about 85% of the browser share in the mid 90’s, by 2003 Netscape was used by less than 1% and is now defunct. Today, Internet Explorer is still the dominant browser used by Window’s computers, however other browsers are now available and have been eating into Microsoft’s market share including the open source Mozilla browser Firefox, Google’s Chrome, Safari and more. While it was the browser that made it possible and easy to view web pages simple and quickly, other components of navigating the web were necessary. For instance, the web was growing so fast, it was hard to keep track of what was on it. What was needed was a directory. With so much information on the web in the early 1990’s many tried to come up with a way to easily search for this information and retrieve it. The solution to this problem was the search engine and the very first search engine to make it big was Yahoo! Going back to the early 1990’s, the web was more or less a huge depot of information, unfortunately, there was no easy way to organize it to help the millions of people now able to access the web find the information that they were looking for. Yahoo was created by two students, one was Jerry Yang. In January of 1994, he created Jerry’s Guide to the World Wide Web. However, it wasn’t until March of 1995 that Yahoo (Yet Another Hierarchical Officious Oracle) was incorporated. While most consider Yahoo, a search engine of sorts where you can find specific items in a web page, it originally started out as a directory of websites. Today, Yahoo is more specifically a web portal offering quite a lot of services that are web oriented including email, instant messaging, streaming radio, news and more. While Yahoo was the pretty much the first major search engine, a few years later Google took over the reigns and became the de facto search engine and one of the largest companies in the world ( by market capitalization). Google too started at a university. It originally started as a research project to make searching the web more effective. During the early and mid 90’s search engines primarily used meta tags and on-page information to rank and include web pages into the directory. Unfortunately, this system was easily gamed and the information that an individual searched for did not turn up the results that were relevant, a better method of search needed to be developed. 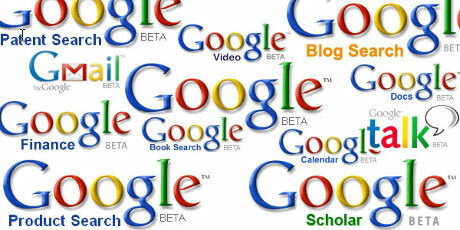 Google created what is now known as Page Rank. This is an algorithm that bases the relevance or importance of a web page on the weighted sum of the page ranks that linked to the corresponding page. The more a web page correlated with topics, the more relevant a page would be and this page would be ranked higher for that specific search term. In turned out that from the very beginning, Google’s main hypothesis was correct. The popularity of the site and it’s clean almost baron home page without the clutter of advertising was seen as attractive to many. However, not only was Google a great search engine that delivered extremely relevant results, it was able to monetize it’s technology with targeted text ads that made Google.com one of the most profitable companies in the history of the world. While the internet grew in leaps and bounds during the 1990’s, it was fueled in part, because it was more and more easier to access. For instance, during the early 1990’s, many accessed the web via an ISP or Internet Service Provider. Since broadband technology was mostly in development in those years or utilized by big corporations and organizations that could afford T-1 or T-3 lines, most individuals utilized dial up access to the internet. For the most part, using a computer dial up modem usually gave you speeds of about 14Kbps to 28Kbps. During the later part of the decade, faster speeds were realized with top rated dial modems that could deliver up to 56 Kbps. During the very late 90’s newer technology was starting to first come to market, this included cable modems and DSL modems. Cable modems utilized the bandwidth of the TV cable that came to most people’s home. DSL utilized technology to turn a regular home or business telephone connection into a high speed pipe to the internet. While dial up service was relatively affordable, usually around the $20 mark, broadband in its initial stages was much more expensive, usually close to the $100 or more price range. One company that took the ISP to a new level was AOL. AOL not only combined a way to access the internet, but pretty much created a walled community with plenty of internet applications for use by its members. Besides Yahoo and Google, another huge force for making it easier for the general public to utilize the web was AOL (America Online). During much of the 1990’s many households saw the internet as a foreign technology that was not that easy to use. However AOL was focused on these new, non-technical users. AOL offered and still does a very easy, non technical way of experiencing the web and the internet. AOL offered its own proprietary software that included many of the services that most wanted from the web including email. Some journalists went on to call the ease at which AOL was to use as being the “internet on training wheels”. While in the late 1990’s AOL had close to 30 million subscribers that utilized a dial up connection, as broadband took over, AOL lost the bulk of their monthly subscribers and now its service has seen its prominence much diminished. Over the years, AOL had an enormous influence on introducing plenty of web services to the masses including email, chat rooms, instant messenger, and more. The History of the internet would not be complete without mentioning the many applications that fueled its growth. Throughout the years, many applications and innovations have made the internet and specifically the World Wide Web a destination for not only individuals, but businesses. Here are just a few of the technologies that have a considerable impact on the way we communicate and do business. Most would say that Email was and still continues to be the killer application that makes the internet irresistible as a technology for both business and individuals. It’s hard to fathom a world without email; however it wasn’t that long ago that we relied on post or at most the fax. Email has made sending a text message half way around the world instantly child’s play. Not only was it fast, easy and very effective, it was free. Originally conceived in 1972, email is now essential to practically all types of businesses and personal communications. We still usually log on only to check our email and whether you send one email, two or thousands the cost is free. Today, email has grown to include not only a text message, but all types of media, hypertext links, etc. Email has grown in other ways as well. When it was originally conceived, you needed your own server, however today there are plenty of free email services online where you can access your own email account. Whether you use Yahoo Mail, Hotmail, Gmail, accessing mail from your computer or online is usually free and easy. In addition, web based email does not require you to be at your computer to check your email, you can be at any location around the world to read, write and send email. For those that used the internet in the 80’s and early 90’s, one way to access information was the digital bulletin board. Bulletin board systems were like little internet communities. A user would dial up the internet on a phone line and either upload, download or write messages to a bulletin board. Before the web page, information was usually exchanged at these types of destinations. The early bulletin boards turned into the forums of today. Today, you can visit a wide variety of forums to discuss cars, music, health, sports, etc. Not only can you create a thread or topic to talk about, but you can read others comments or respond to other threads. These mini communities helped to forge the internet and still play a huge role in the social aspects of the internet today. Another social aspect of the internet that fueled its growth throughout the last two decades is online dating. While many don’t realize it, online dating has had a huge impact on how we meet and date today. While people met using digital bulletin boards in the early years, once AOL became popular, chat rooms became one way to meet a wide selection of people instantly. Chat rooms were a popular application for AOL users. You can join a general chat, where you can talk to 20 or more people in a room at one time or join a chat room that had a specific topic or orientation. And while many people might have not went online to find a date at first, with so much demand for chatting and meeting people, websites started to spring up to specifically meet people. Besides search engines, web browsers and ISP’s other innovations helped make the internet what it is today. The social aspects of the internet have been incredible and the internet over the last few decades have touched pretty much all of our lives. However, social networks have taken these aspects a step further making it easier than ever to stay close to friends, be part of a large online group or organization and mobilize the masses for a wide variety of political and social causes. 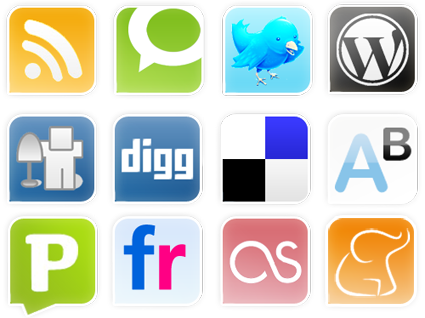 Two social networks that have become huge over the last few years are MySpace.com and Facebook.com. Both are pretty similar, but have enough differences to be unique on their own. They allow an individual to set up their own page on the network and to keep track and make friends easily. Also these pages are made to be updated frequently with images, video, audio and text. Blogs have become quite popular in recent years. Originally, it was static web pages that were the most popular way for sites and developers to post text, images and other media on the web. However, as it became more and more easier to access the internet and more and more people wanted to share their thoughts and ideas instead of create an entire site, blog or weblogs became popular. Blogs help either individuals or organizations communicate to an audience on a regular basis. They are much easy to update than the typical website and most blogs offer commentary, news, thoughts and the occasional rant. Some blogs also offer media on a regular basis, sometimes they are referred to as podcasts for audio media or a vlog for video media. And while blogs usually take up a rather long form of writing with many entries well over several hundred words, a new type of blogging has become mainstream- twittering. Twitter.com offers the ability for many bloggers to send smaller messages (micro-blogging) to the web easily and conveniently. The messages can only be 140 characters or smaller. However, Twitter.com has taken off and it has become an international phenomenon. Enough can’t be said about the economic impact that the internet has brought to the world. Perhaps trillions of dollars have been created in wealth from the internet and billions of lives have been changed due to e-commerce. While the internet started to grow quickly in the late 80’s, it grew exponentially, once the US government allowed it to include commercial websites which brought to the internet e-commerce. The ability for commercial enterprise to take place on the internet had a huge affect on the internet. The US gave the green light in 1991. However, many in the business world began to take note a few years later when an initial public offering (IPO) of Netscape started the Dot.com Boom. Netscape was the first popular web browser. It went up for IPO with an opening stock price of $28, however it closed at a whopping $75 per share. This sent shockwaves through the market as demand for tech companies specifically involved in the internet took place. 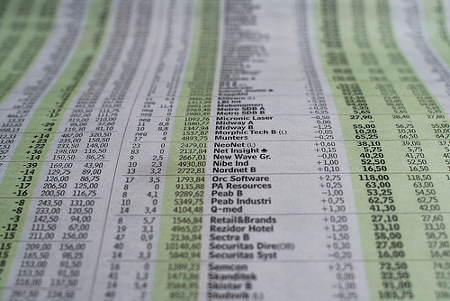 Many internet based IPO’s had incredible results including: Amazon.com, Ebay.com, AOL.com and Yahoo.com. While the market and IPO’s made many rich, it also had another effect, billions of dollars were being funneled into the tech sector and specifically to companies that were developing technologies or innovating the internet and the web. Throughout the 1990’s lots of growth in the overall world economy was attributed to computers and the internet and it continues to this day. In fact, the global economy can be attributed to many of the innovations of the internet. With more and more of the world’s population able to do business online, the world markets are more intertwined than ever before. Another incredible success story is Google. Obviously, Google is the premier search engine, however it is also one of the largest companies in the world due to its stock value (market capitalization). In addition, Google has played a big role in helping small businesses advertise with their contextual text ads not only helping many websites draw traffic to their site, but also helping content creators who develop their own web sites and blogs to monetize their site. This affect creates more and more quality content on the web. Conducting business has changed drastically over the last 20 years due to both the computer and the internet, never to be the same again. In fact, with email, VOIP (voice over internet protocol), cloud computing, online banking and other services, it is easier and more convenient than ever to do business. In fact, many of the physical barriers of conducting business have been erased. Today, many can easily work from home or become tech nomads working from either a coffee shop or half way around the world when on vacation. The world has definitely changed due to the Internet’s ability to communicate with ease from practically any location. In a few short decades, the internet has grown from a network of a few dozen computers to practically connecting the entire world’s population. These last 20 years have seen tremendous growth, what the internet has in store for the next 20 years can only fathom the mind. I don’t recognise who you are however definitely you’re going to a famous blogger for those who aren’t already. Cheers! The Internet is a worldwide system of interconnected computer networks that use the TCP/IP set of network protocols to reach billions of users. The Internet began as a U.S Department of Defense network to link scientists and university professors around the worold. A network of networks, today, the Internet serves as a global data communications system that links millions of private, public, academic and business networks via an international telecomunications backbone that consists of various electronic and optical networking technologies. Decentralized by design, no one owns the Internet and it has no central governing authority. As a creation of the Defense Department for sharing research data, this lack of centralization was intentional to make it less vulnerable to wartime or terrorist attacks. The terms Internet and World Wide Web are often used interchangebly, however, the internet and World Wide Web are not one and the same. The Internet is a vast hardware and software infrastructure that enables computer interconnectivity. The Web, on the other hand, is a massive hypermedia database, a myriad collection of documents and other resources interconnected by hyperlinks. Imagine the World Wide Web as the platform which allows one to navigate the Internet with the use of a browser such as Internet Explorer or Mozilla Firefox. Follow the Internet Timeline below to see how the Internet has evolved over the years and take a glance at what lies ahead in the future as the Internet continues to change the world we live in. 1957 – USSR launches Sputnik into space. In response, the USA creates the Advanced Research Projects Agency (ARPA ) with the mission of becoming the leading force in science and new technologies. 1962 – J.C.R. Licklider of MIT proposes the concept of a “Galactic Network.” For the first time ideas about a global network of computers are introduced. J.C.R. Licklider is later chosen to head ARPA’s research efforts. 1962 – Paul Baran, a member of the RAND Corporation, determines a way for the Air Force to control bombers and missiles in case of a nuclear event. His results call for a decentralized network comprised of packet switches. 1968 – ARPA contracts out work to BBN. BBN is called upon to build the first switch. 1969 – ARPANET created – BBN creates the first switched network by linking four different nodes in California and Utah; one at the University of Utah, one at the University of California at Santa Barbara, one at Stanford and one at the University of California at Los Angeles. 1972 – Ray Tomlinson working for BBN creates the first program devoted to email. 1972 – ARPA officially changes its name to DARPA Defense Advanced Research Projects Agency. 1972 – Network Control Protocol is introduced to allow computers running on the same network to communicate with each other. 1973 – Vinton Cerf working from Stanford and Bob Kahn from DARPA begin work developing TCP/IP to allow computers on different networks to communicate with each other. 1974 – Kahn and Cerf refer to the system as the Internet for the first time. 1976 – Ethernet is developed by Dr. Robert M. Metcalfe. 1976 – SATNET, a satellite program is developed to link the United States and Europe. Satellites are owned by a consortium of nations, therby expanding the reach of the Internet beyond the USA. 1976 – Elizabeth II, Queen of the United Kingdom, sends out an email on 26 March from the Royal Signals and Radar Establishment (RSRE) in Malvern. 1976 – AT& T Bell Labs develops UUCP and UNIX. 1979 – USENET, the first news group network is developed by Tom Truscott, Jim Ellis and Steve Bellovin. 1979 – IBM introduces BITNET to work on emails and listserv systems. 1981 – The National Science Foundation releases CSNET 56 to allow computers to network without being connected to the government networks. 1983 – Internet Activities Board released. 1983 – TCP/IP becomes the standard for internet protocol. 1983 – Domain Name System introduced to allow domain names to automatically be assigned an IP number. 1984 – MCI creates T1 lines to allow for faster transportation of information over the internet. 1987 – The new network CREN forms. 1988 – Traffic rises and plans are to find a new replacement for the T1 lines. 1990 – Advanced Network & Services (ANS) forms to research new ways to make internet speeds even faster. The group develops the T3 line and installs in on a number of networks. 1990 – A hypertext system is created and implemented by Tim Berners-Lee while working for CERN. 1991 – The National Science Foundation (NSF) creates the National Research and Education Network (NREN). 1993 – InterNIC released to provide general services, a database and internet directory. 1993- The first web browser, Mosaic (created by NCSA), is released. Mosaic later becomes the Netscape browser which was the most popular browser in the mid 1990’s. 1994 – New networks added frequently. 1994 – First internet ordering system created by Pizza Hut. 1994 – First internet bank opened: First Virtual. 1995 – NSF contracts out their access to four internet providers. 1995 – NSF sells domains for a $50 annual fee. 1995- Registration of domains is no longer free. 1996- The WWW browser wars are waged mainly between Microsoft and Netscape. New versions are released quarterly with the aid of internet users eager to test new (beta) versions. 1996 – Internet Service Providers begin appearing such as Sprint and MCI. 1996 – Nokia releases first cell phone with internet access. 1998- Netscape releases source code for Navigator. 1999 – A wireless technology called 802.11b, more commonly referred to as Wi-Fi, is standardized. 2001 – Blackberry releases first internet cell phone in the United States. 2004 – The Term Web 2.0 rises in popularity when O’Reilly and MediaLive host the first Web 2.0 conference. 2004- Mydoom, the fastest ever spreading email computer worm is released. Estimated 1 in 12 emails are infected. 2010- Facebook announces in Februrary that it has 400 million active users. The public Internet was not initially designed to handle massive quantities of data flowing through millions of networks. In response to this problem, experimental national research networks (NRN’s), such as Internet2 and NGI (Next Generation Internet), are developing high speed, next generation networks. In the United States, Internet2 is the foremost non for profit advanced networking consortium led by over 200 universities in cooperation with 70 leading corporations, 50 international partners and 45 non profit and government agencies. The Internet2 community is actively engaged in developing and testing new network technologies that are critical to the future progress of the Internet. Internet2 operates the Internet2 Network, a next-generation hybrid optical and packet network that furnishes a 100Gbps network backbone, providing the U.S research and education community with a nationwide dynamic, robust and cost effective network that satistfies their bandwith intensive requirements. Although this private network does not replace the Internet, it does provide an environment in which cutting edge technologies can be developed that may eventually migrate to the public Internet. Internet2 research groups are developing and implementing new technolgies such as Ipv6, multicasting and quality of service (QoS) that will enable revolutionary Internet applications. New quality of service (QoS) technologies, for instance, would allow the Internet to provide different levels of service, depending on the type of data being transmitted. Different types of data packets could recieve different levels of priority as they travel over a network. For example, packets for an application such as videoconferencing, which require simulatneous delivery, would be assigned higher priority than e-mail messages. However, advocates of net neutrality argue that data discrimination could lead to a tiered service model being imposed on the Internet by telecom companies that would undermine Internet freedoms. More than just a faster web, these new technologies will enable completely new advanced applications for distributed computation, digital libraries, virtual laboratories, distance learning and tele-immersion. As next generation Internet development continues to push the boundries of what’s possible, the existing Internet is also being enhanced to provide higher transmission speeds, increased security and different levels of service. why I can’t subscribe to it. Is there anyone else having identical RSS problems? while i found the reading very informative i still dont understand “where” the internet is ? i get the feeling from reading that it is sorta like reality itself . as long as a computer is working the internet is alive . or is ARPANET still the mother computer to this day ? please be so kind as to send a response to the email . the article gets a A+ , well done ! I learn a lot from this page. I thought it very informative. I learn a lot from this page. I thought it very informative. My time is short but I needed to say something about internet. avery useful and informative piece of document . thanks for sharing .